There is no need for a homeowner to spend a lot of money on decorative lamp shades when they can easily be made at home. Making a decorative lamp shade is easier than a person may think. There are several different ways to make a homemade lamp shade that looks just like a professional shade found in stores. 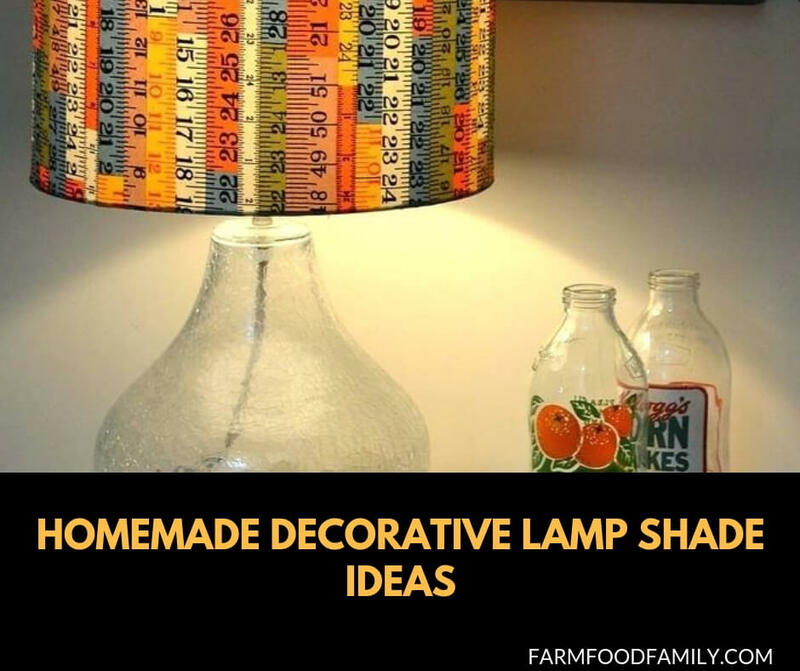 Here are a few different ways to make a homemade decorative lamp shade for just about any type of lamp. Harsh light from a fabric or paper lamp shade can be softened with a gathered slipcover. A lightweight, flame-resistant fabric in a pale to medium color or pattern should be used for the optimum light-diffusing. Cut the material about twice as wide as the smaller circumference of the lamp shade and approximately 2 inches longer than the top to bottom measurement. Seam together the short sides of the fabric. Fold over and stitch the top and bottom edges to make ½ inch pockets, leaving a small opening in each. Take a piece of ribbon and cut the length twice as long as the shade’s top and bottom circumferences. Wrap one end of each length tightly with tape, like a shoelace tip. Thread the ribbon through the pockets. Play with the fabric so that it gathers evenly. Tie off the excess ribbon as a small bow. Place the slipcover over the lamp shade and secure it with double-sided fabric tape. When the lamp is turned on, the glow will be soft and the plain lamp shade will look like a decorative lamp shade. A plain fabric or paper lamp shade can easily be dressed up with dark colored construction paper such as navy blue, red, and black. This is also a simple way to make a decorative lamp shade for a holiday such as leaves for Thanksgiving and snowflakes for Christmas. The paper cut-outs should be sized according with the lamp shade. Some ideas for the paper cut-outs for the decorative lamp shade are flowers, paisley design, polka dots, and stars. Double sided fabric tape should be used to attach the paper to the inside of the lamp shade. One should be careful that the paper does not touch the light bulb or come to close to the light bulb. Paper cut-outs will begin to curl over a period of time, but they are very simple to take out and replace. These are two simple and easy ways that a plain shade can turn into a unique decorative lamp shade. A homeowner may find that decorative lamp shades are quite expensive, but plain shades are dull and don’t add any style to a room. They simple just need to get creative and make their own personalized lamp shade.